Muller-Camen, M., Croucher, R., and S. Leigh (eds.) (2008). Human Resource Management: A Case Study Approach, CIPD: London, 517pp. Schroder, Heike, Hofacker, Dirk and Michael Muller-Camen (2008). HRM and the employment of older workers: Germany and Britain compared. International Journal of Human Resource Development and Management. In print. Tempel, A., Edwards, T., Ferner, A., Muller-Camen, M. and H. Wachter (2006). Subsidiary Responses to Institutional Duality: Collective Representation Practices of US Multinationals in Britain and Germany, Human Relations, 59, 11: 1543-1570. Dickmann, M. and M. Muller-Camen (2006). A Typology of International Human Resource Management Strategies and Processes, International Journal of Human Resource Management, 17,4, 580-601. Almond, P., Edwards, T., Colling, T., Ferner, A., Gunnigle, P., Muller-Camen, M., Quintanilla J. and H. Wachter (2005). Unraveling Home and Host Country Effects: An Investigation of the HR Policies of an American Multinational in Four European Countries, Industrial Relations, 44, 2, 276-306. Muller-Camen, M. and S. Salzgeber (2005). Changes in Academic Work and the Chair Regime: The Case of German Business Administration Academics, Organization Studies, 26, 2, 271-290. Giardini, Angelo, Kabst, Rudiger and Michael Muller-Camen (2005). HRM in the German Business System: A Review, Management Revue, Vol. 16, No. 1, 63-80. Muller-Camen, Michael, Mayrhofer, Wolfgang, Ledolter, Johannes, Strunk, Guido and Christiane Erten-Buch (2004). Pure Rhetorik? Populare personalwirtschaftliche Handlungsempfehlungen der 1990er Jahre und ihre Umsetzung - eine international vergleichende empirische Analyse, Zeitschrift fur Personalforschung, Vol. 18, No. 2, 164-182. Harley, Sandra, Muller-Camen, Michael and Audrey Collin (2004). From Academic Communities to Managed Organisations: The Implications for Academic Careers in German and UK Universities, Journal of Vocational Behaviour, Vol. 64, No. 2, 329-345. Ferner, Anthony, Almond, Phil, Clark, Ian, Colling, Trevor, Edwards, Tony, Holden, Len and Michael Muller-Camen (2004). The Dynamics of Central Control and Subsidiary Autonomy in the Management of Human Resources: Case Study Evidence from US MNCs in the UK, Organization Studies, Vol. 25, No. 3, 363-391. Wachter, Hartmut and Michael Muller-Camen (2002) Co-determination and Strategic Integration in German Firms, Human Resource Management Journal, Vol. 12, No. 3, 76-87. Mayer, Gerit, Andersen, Torben and Michael Muller (2001) Employment Restructuring and Flexibility in Austrian and Danish Banking, European Journal of Industrial Relations, Vol. 7, No. 1, 71-87. Muller, Michael (2000). Employee Representation and Pay in Austria, Germany and Sweden, International Studies of Management and Organization, Vol. 29, No. 4, 66-82. 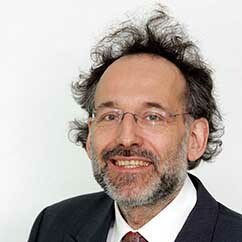 Muller, Michael (1999). Human Resource Management under Institutional Constraints -The Case of Germany-, British Journal of Management, Vol.10, Special Issue September, S31-S44. Muller, Michael (1999). Enthusiastic Embrace or Critical Reception? -The German HRM Debate-, Journal of Management Studies, Vol. 35, No. 4, 465-482. Muller, Michael (1999). Unitarism, Pluralism and Human Resource Management in Germany, Management International Review, Vol. 39, Special Issue 1999/3, 125-144. Weicht, Konstantin and Altman, Yochanan and Muller-Camen, Michael and Chen, I-Ting (2016) HRM and workplace spirituality: some thoughts, notes and observations. The Study of Organizations and Human Resource Management Quarterly, 1 (3). pp. 49-62.